Rapid Trident will begin at the Yavoriv training range on 3 September. 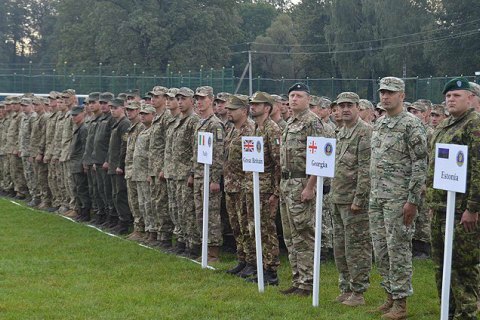 Ukraine's largest international military exercise Rapid Trident 2018 will kick off this Monday, 3 September, the press service of the Ukrainian Armed Forces' General Staff has said. It will be held at the Yavoriv training range in Lviv Region and will involve Ukrainian and foreign ground forces' units. In the meantime, Russia is planning to hold the largest drill since 1981 from 11 to 15 September. The East 2018 exercises will involve about 300,000 servicemen and 36,000 pieces of ground hardware. Kyiv mourns victims of 2014 "Ilovaysk cauldron"